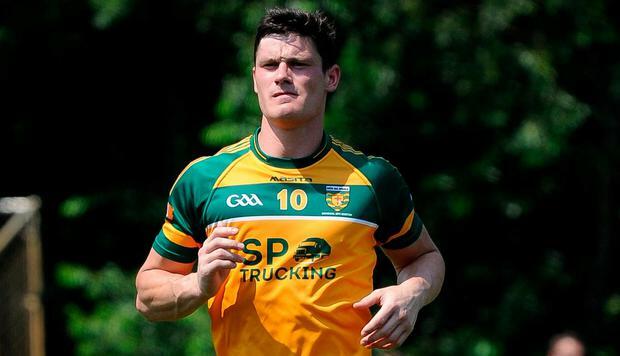 DIARMUID Connolly made his return to football in Canton, Massachusetts yesterday for the Donegal Boston club. Connolly – who wore the number 10 jersey – featured as they easily beat Connemara Gaels by 4-13 to 1-8 in his first game since travelling to America last Thursday. Connolly was joined on the team by fellow Dub and his St Vincent’s clubmate, Shane Carthy. Donegal pair Michael Carroll and Eoin McHugh were also on the team sheet for what was a 13-a-side match, as were Liam Silke and Dylan Wall – both of whom were part of Corofin’s All-Ireland winning club side this March.